Intelligent dual-PMC I/O controller for CompactPCI. Home > Intelligent dual-PMC I/O controller for CompactPCI. Typical embedded applications include surveillance, signal intelligence, and telemetry as well as semiconductor and medical imaging systems. VMETRO, represented by Dedicated Systems Australia , has released the PowerMIDAS C5000 intelligent dual-PMC I/O controller for CompactPCI. It integrates PowerPC CPUs, Fibre Channel, Gigabit Ethernet, Fast Ethernet and dual PMC module I/O devices into a single 6U CompactPCI system. The VME-based PowerMIDAS boards are suitable for defense and aerospace applications. Typical embedded applications include surveillance, signal intelligence, and telemetry as well as semiconductor and medical imaging systems. The CompactPCI form factor opens new markets such as industrial and telecom applications for VMETRO. Engineers can use standard I/O capabilities and begin to develop their own core intellectual property. The result is shorter time to market and reduced costs. 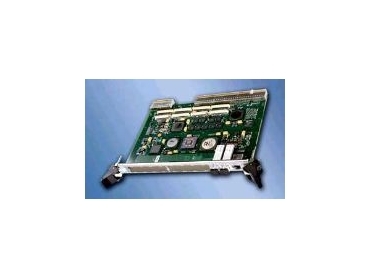 The PowerMIDAS C5000 has a 667MHz (800MHz) AMCC PowerPC 440GX processor, a 1GB DDR SDRAM, dual PMC sites and independent PCI-X bus segments. It comes with intuitive and well-documented APIs, ready-to-run application examples and benchmarks, load-and-go preconfigured application programming projects, ready-to-run recording software and application kits for customisable I/O and recorder solutions.